ScreenFlow is one of the best Mac apps for making screencasts, video presentations and other types of content by recording the proceeding of your Mac desktop. 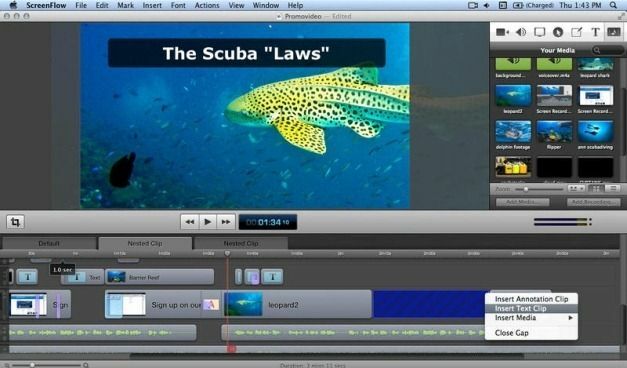 ScreenFlow is quite efficient in providing high-quality screen capture, which includes; iSight and DV camera content, as well as audio recorded via Mic and your computer. 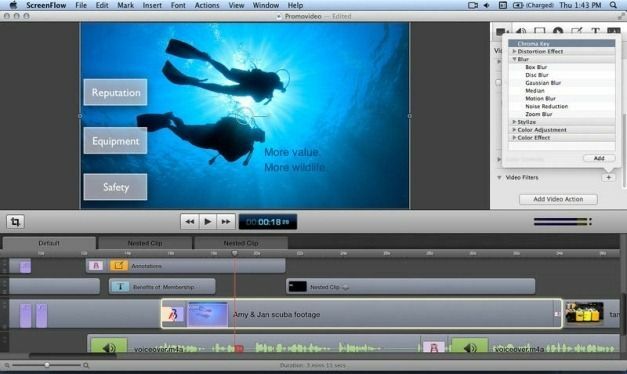 Furthermore, it offers editing and exporting functionality, with a built-in publisher for YouTube. 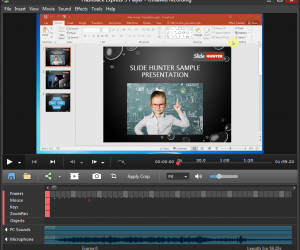 What makes ScreenFlow really outstanding is the fact that it brings recording, editing and sharing functionality within a simple interface that can be comprehended easily by intermediate and advanced computer users. 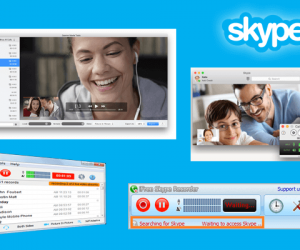 You can even record your computer screen when capturing your video camera. 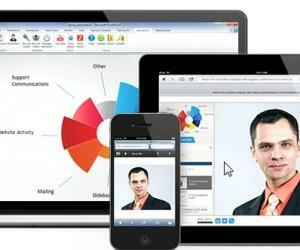 The easy editing tools make it possible to manipulate your videos with images, background music, text and transitions to give your presentations, demos and tutorials a professional look. 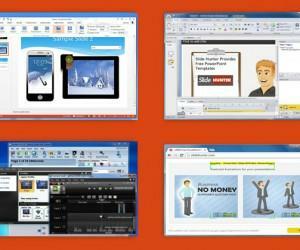 Hence, ScreenFlow can be an ideal tool for making screencasts for commercial use. 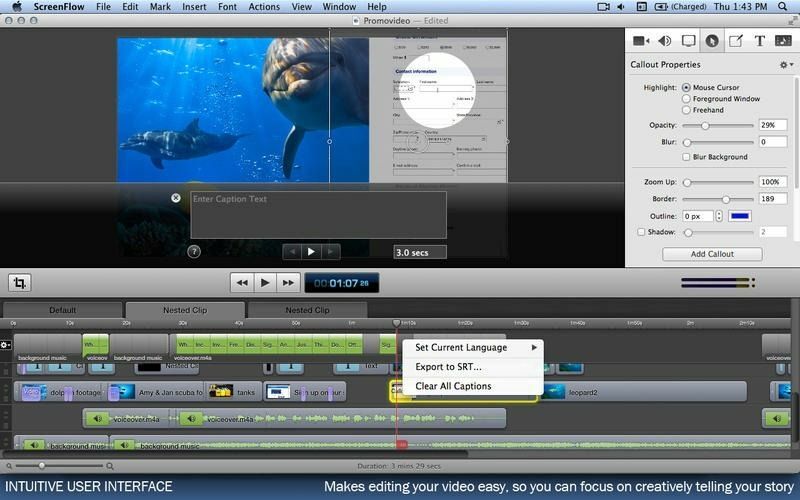 Even if you are a YouTube enthusiast with your own channel, you can make use of ScreenFlow to create high-quality videos and export them to MPEG-4 or Apple’s QuickTime format. 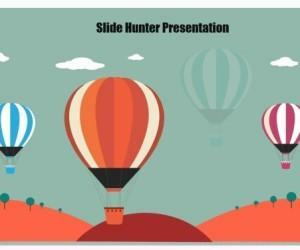 These videos can then be published to your blog or directly to video streaming websites like Vimeo or YouTube. 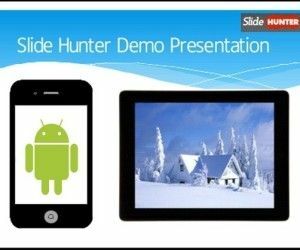 Additionally, you can create video presentations for offline presentation via any supported media player or presentation applications like PowerPoint (by embedding the video in a slide). To see how to get started with ScreenFlow, check out the video given below. ScreenFlow is compatible with Mac OS X 10.6.8 or higher.